Life Begins At 25 for Adele – but could we have one song about smiling or birthday parties?! It’s Adele. She’s on the line to her past self. But you’d think a meeting between the two would be somewhat fruitless – it feels like she’s covered little ground since her last album, 21. Hello, as a single, has now reached the number one spot in twenty-eight different countries, instantly becoming one of Adele’s biggest and most recognisable hits. Look at her top songs on iTunes and Spotify, and you’ll see it there alongside Someone Like You, Rolling in The Deep, Set Fire to the Rain and Make You Feel My Love. Great songs, but all variations on a similar theme, with a similar sound. Adele seems to have created around herself an immensely successful genre of brooding power-chord break-up songs. They’ve become the go-to soundtrack for driving down dreary motorways and feeling sorry for yourself. Not that this is an especially bad thing. In fact, ironically enough, the best songs on her new album, 25, are When We Were Young and All I Ask, which fit neatly into this heartbreaking pigeon-hole. But, like 21, after eleven tracks of similar Why-God-Why?? attitude, you begin to slump at the wheel and pine for something more upbeat: perhaps a song about smiling or birthday parties. Adele’s life can’t be all tears and misery. One of the few songs on the album to break the template is Send My Love (to Your New Lover) – which although mixing things up by showcasing some welcome Caribbean vibes, doesn’t venture far enough from the melancholy of break-up to constitute a breather. It’s a similar story to other few and far between songs in Adele’s repertoire, such as I’ll Be Waiting and, to a lesser extent, Rumour Has It. They just aren’t strong enough to give the albums another dimension. It makes you remember Adele’s debut album: 19, which was a more soulful, laid-back, Amy Winehouse-esque affair with more varied instrumentation and minimal piano. Adele is an incredible talent, and is deservedly one of the world’s best selling artists, but with such a brilliant voice and a gift for songwriting, it’s a shame that in recent years she has limited herself to piano-heavy ballads about love and loss. With this hugely successful third album, she’s now earned enough cultural and musical sway to do whatever she wants. She stands at a fork in the road where any direction she takes will be celebrated and successful. She has cultivated her audience, established her mass appeal, and her talent can safely carry her anywhere. In other words, she is in possession of music’s Holy Grail. But to which direction will she turn with it? 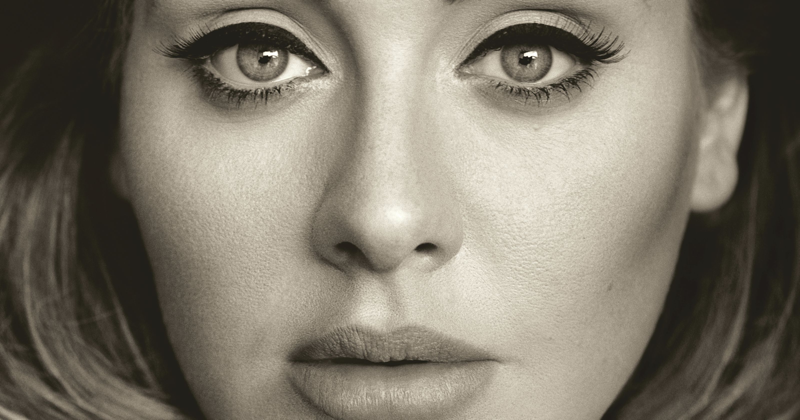 Think what an Adele Gospel album would be like, or Adele Country, or Adele Funk and Soul. The exciting possibilities open out like a horizon in all directions. Hopefully she doesn’t simply continue on the path she’s treaded well already – those top songs on iTunes need a bit of variation. There’s more to her than a piano and an ex-boyfriend.